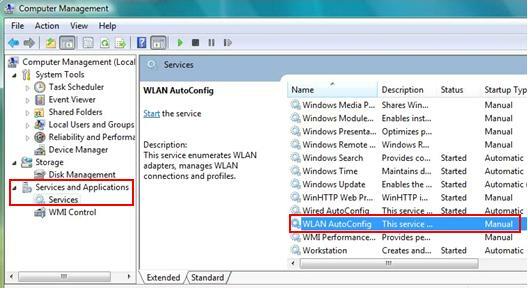 WLAN AutoConfig service in Vista is actually similar to Wireless Zero Configuration service in XP that is used to detect available wireless network and manage wireless network profile. 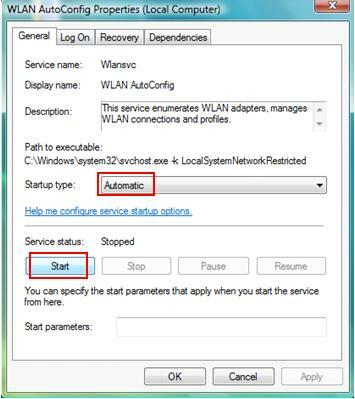 If you do not enable this feature, you need to use the other wireless utility which is provided by wireless adapter manufacturer in order to connect to wireless network. I personally like this Vista feature as it provides standardized wireless configuration on all my Vista computers. Easy to manage and I don’t have to care about different wireless utilities for different wireless adapters. 1. Go to Start and right click Computer. Select and click Manage. 2. 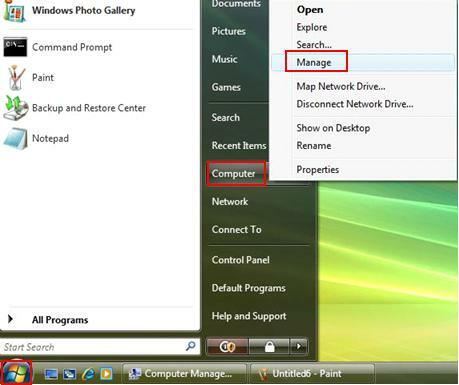 Computer Management window will appear. Under Services and Applications, select Services. 4. Double-click the service and its properties window will appear. If the startup type is not set to automatic, click on the dropdown arrow and change it to Automatic. Click Start to start the service if it’s not started. Click OK at last. Note: If you don’t enable this feature, the Vista's Connect To window will not detect any wireless network. You need to use other wireless utility to do it. Return to top of "WLAN AutoConfig Service in Windows Vista"! !